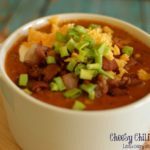 Pepperoni Pizza Chili is everything you love about pizza in a bowl! 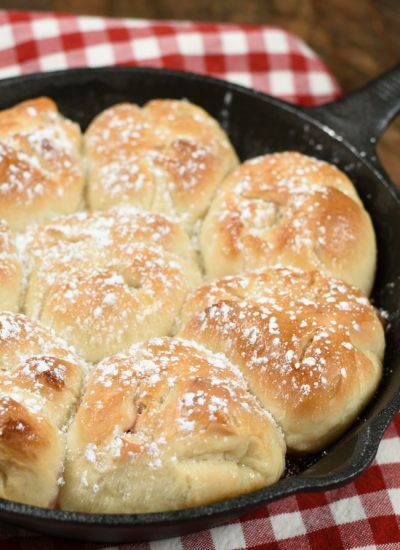 Just throw the ingredients in a slow cooker, no hassle of making crust, and dinner is ready! 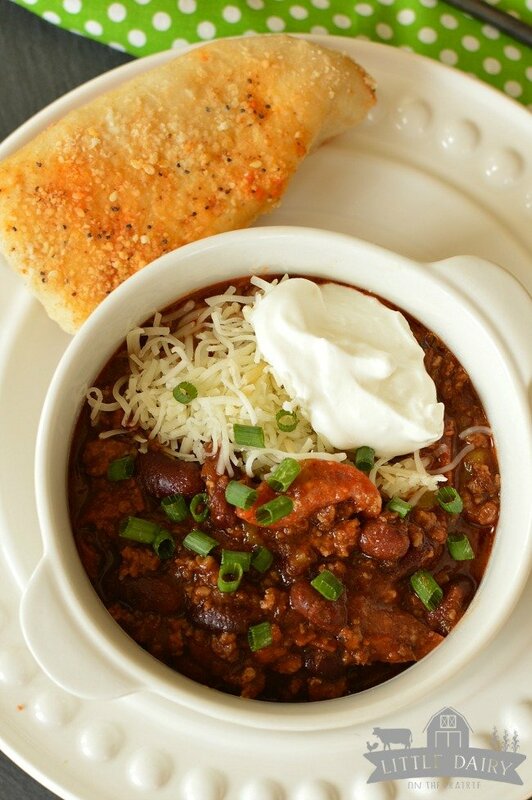 I serve this chili with bread sticks and the kids go just as crazy for it as they do for pizza! I’ve been volunteering in my baby’s third grade class. If you have a few extra hours a week you should totally volunteer at your local school. All you have to do is show up prepared to be entertained. Right as the recess bell rang I told Payson I wanted to him to stay in and rewrite a few of his sentences (moms are way meaner than teachers). Needless to say he was a little upset with me. One of the kids turned to Payson and said, “Hey Prairie Dog…you comin’?” I had no idea his nickname was Prairie Dog. Of course I asked him why his name is Prairie Dog and he proudly explained it to me. He is Prairie Dog because apparently he is good at tackling in football. I grew up playing football with my four brothers, I like to watch football on t.v. and somehow I missed how the name “Prairie Dog” relates to football. I need to know what I am missing and Payson can’t really explain it to me! Can anyone help me with this? Hopefully someone knows what “Prairie Dog” has to do with football, but in the mean time I think it’s a perfect name for him and that’s what I’m going to call him! Let’s talk about Pepperoni Pizza Chili for just a minute. It will only take a minute to talk about it because that’s about how long it takes to make it. Open a few cans and dump them in the slow cooker. Sprinkle some seasoning on top. Give it a little stir and let er’ rip! That’s it! If your kids are like mine they beg for pepperoni pizza all the time. Some days I just don’t have time to make crust, I live way too far from town to get pizza delivered, and it’s all good because Pepperoni Pizza Chili always satisfies their pizza cravings. It’s awesome for tailgating. My boys go even go crazy over taking the leftovers to school in their lunches. Pepperoni Pizza Chili needs a generous serving of mozzarella cheese because lets face it pizza is all about the cheese! Of course you could add any other toppings you wanted like sauteed mushrooms, onions, olives. Pretty much any toppings you would add to pizza would be just right! 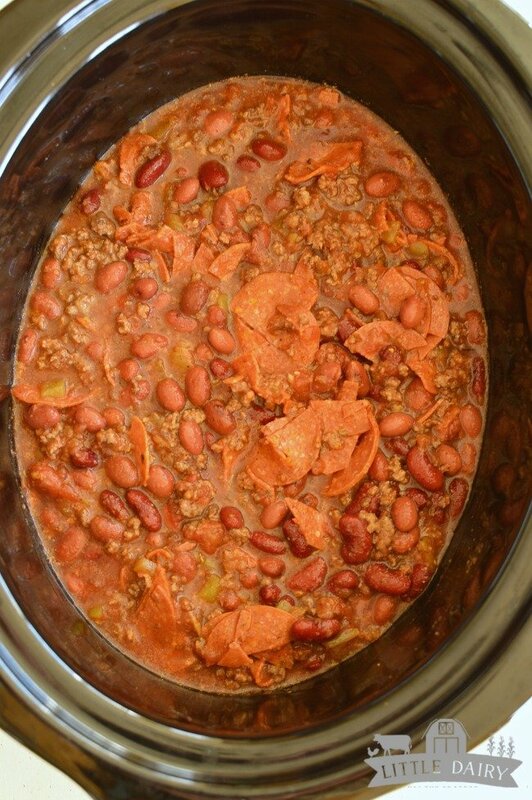 Make a slow cooker full of Pepperoni Pizza Chili soon! 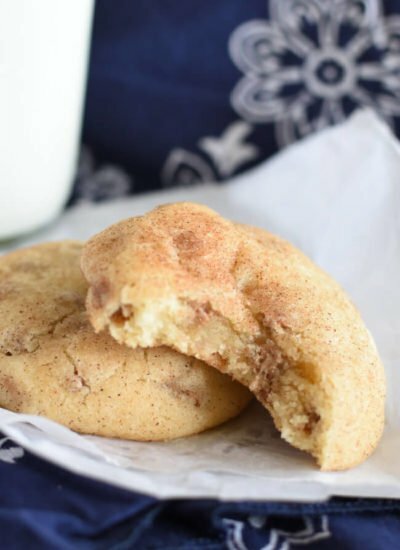 Trust me, your family will love this new spin on an old classic! And go volunteer at school. The teachers will thank you, it helps the kids get one on one time, and you will be entertained! Brown hamburger, drain if necessary. 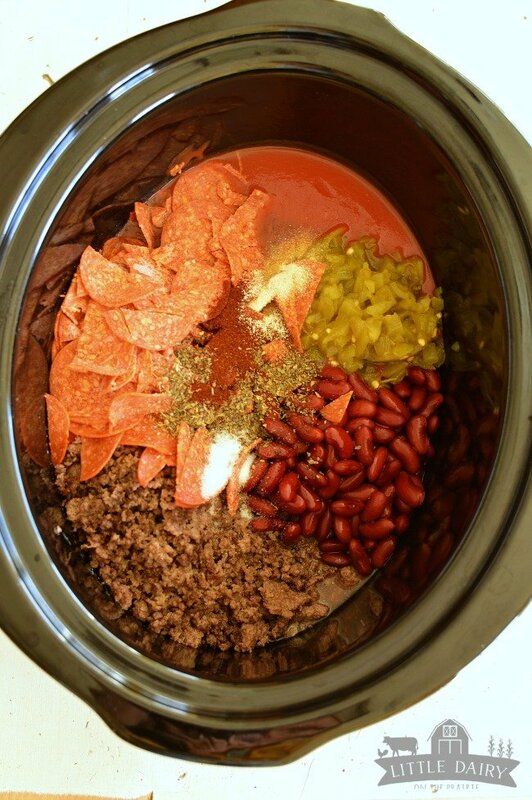 Add all ingredients, except cheese, to slow cooker. Stir. Cook for 4 hours on low heat. 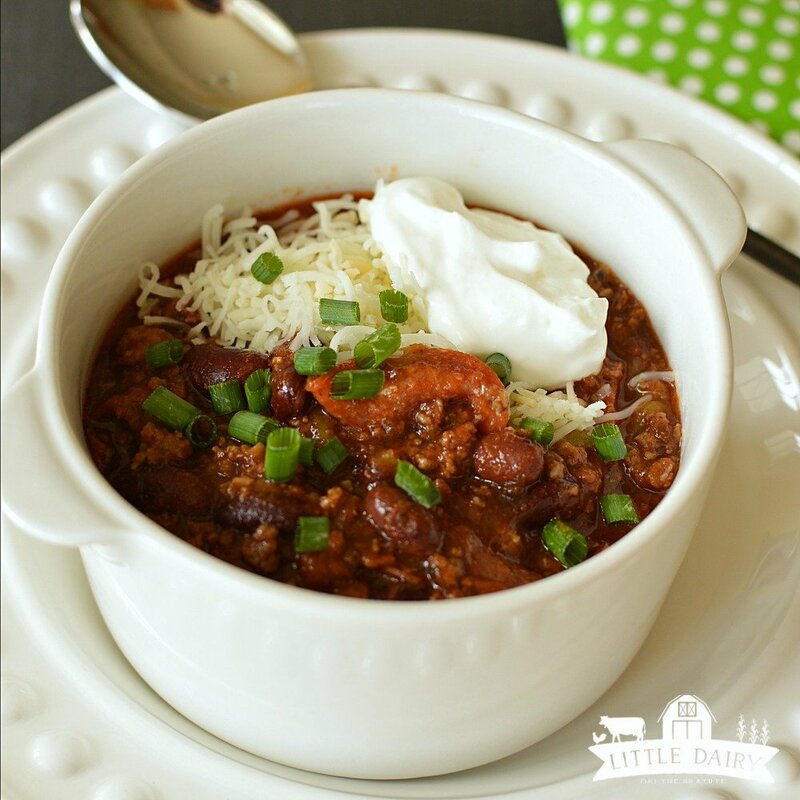 Serve chili topped with mozzarella cheese and any other desired toppings. Maybe that it, he is a fast runner. Pizza is always a good idea no matter what version it comes in! And I have no clue about the prairie dog thing and football. I have never heard of that. I still haven’t figured out the prairie dog thing. Kids go crazy over chili that has pizza flavors! This looks comforting! I can see myself enjoying this on a cold day! Yummy! 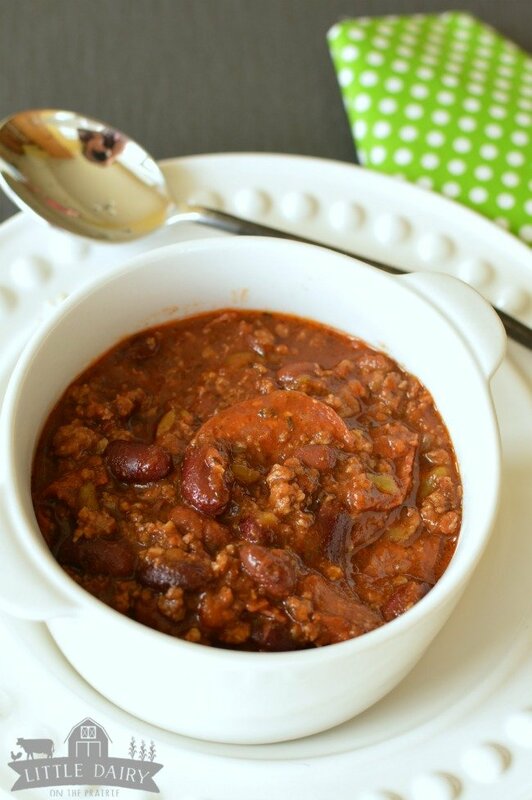 There’s just something so comforting about having a slow cooker full of chili waiting for you! And pizza…you can’t go wrong with that! 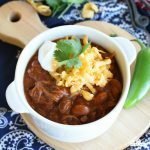 What a fun take on chili! My family will love this! Especially if it’s sitting in the slow cooker waiting for you when you get home! 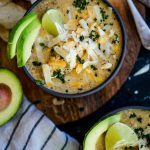 I love anything in the slow cooker these days and this looks superb. 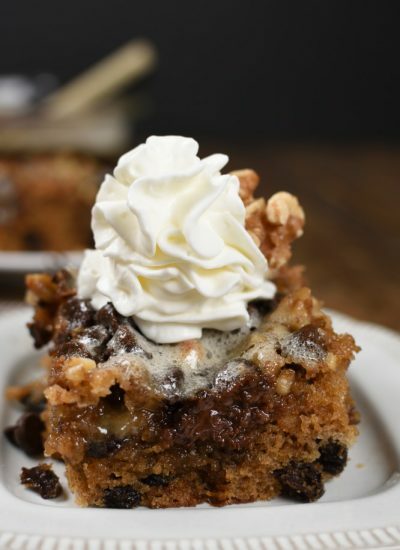 Perfect for the fall weather! 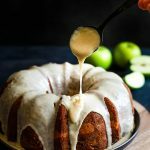 Slow cookers are popular, especially in the fall! 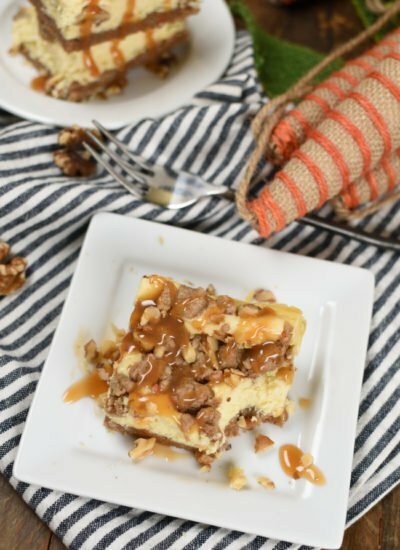 Slow cooker meals are the best! This sounds incredible! My kids would love this with the pepperoni! All kids love pizza right? Mine do! Everyone loves pizza, and chili. It works so well together! Thanks for the pin!